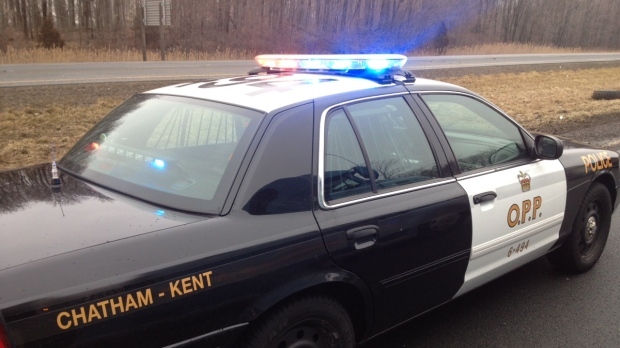 A 48-year-old Alberta man is facing impaired driving charges after a rollover on Highway 401 in Chatham-Kent. Officers were called to a single-vehicle rollover collision around 2:45 a.m. on April 1. Police say a vehicle travelling westbound on Highway 401 near Bloomfield Road left the roadway entered the median, rolled over and came to rest in the eastbound lanes. When police arrived, officers say they found the lone occupant male driver exhibiting signs of impairment. He was arrested and transported to an area hospital for treatment of minor injuries. Michael Crain, 48, of St. Albert, Alta., is scheduled to appear at the Ontario Court of Justice Chatham on April 23. He is charged with impaired driving by alcohol or drug and operation while impaired, blood alcohol concentration 80 plus. The eastbound lanes of Highway 401 at Bloomfield Road were closed for approximately three hours for investigation and removal of the vehicle, but have since reopened.